Continuing from yesterday’s discussion of how to tell if we are winning or losing the fight against BDS, you might think the best way to answer that question would be to draw from numerical information. Numbers don’t lie, after all. But do they always tell the truth? I thought about this several years ago when I read the exciting subhead to this story which explained we don’t need to worry so much about campus anti-Semitism since BDS is absent from 97% of colleges and universities in America. Great news! one would first think in knowing that your cause is aligned with a big number (97%) vs. a small one (3%) until you realize that this entire analysis is an inadvertent, but still misleading, example of Proofiness. That word comes from a 2010 book of the same name which is subtitled “The Dark Arts of Mathematical Deception.” The term derives from Stephen Colbert’s “truthiness,” a word the comic invented to describe “facts” that sound so good, they must be true (especially if they confirm what you already want to believe). Because most people’s desire to believe numerical data is coupled with a lack of understanding of mathematical concepts (for instance, does that “margin of error” reported in the last set of polls you read about include potential systemic error – such as poorly worded survey questions – or just statistical variance? 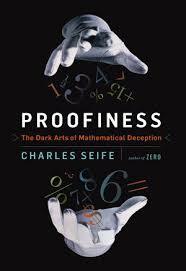 ), people can easily be deceived by different types of mathematical deception. My favorite of these is the unit fallacy which you’ll see frequently in discussions involving rates or percentages. This is the one where a CEO of a company whose profits have risen from 10% to 12% will express this growth as “our profits have grown 20%,” which is technically accurate (if that 20% is applied to the original percentage, rather than the whole), but misleading since most people think of “growing 20%” as implying addition (which would make such a description more suitable for profits growing from 10% to 30%). Proofiness is a staple of election politics where candidates play all kinds of fruity tactics, from cherry picking data to comparing apples to oranges. But in the case of the Times of Israel headline, we are faced with inadvertent Proofiness based on the seemingly remarkable statistic of only 3% of colleges dealing with anti-Israel incidents. On the surface, this certainly seems like a wonderfully positive trend. After all, 97% is much, much bigger than 3%, and if I wanted to think of myself as being on the winning side, I’d far prefer to ally myself with that very large number vs. the very small one (which explains the Occupy Movement’s “We are the 99%” slogan – another “proofy” assertion). But remember that there are over 4000 colleges in the US, which means that 3% comes out to over 100 schools. And if you heard a headline that said anti-Israel activity was prevalent in more than 100 US college campuses, you’d probably react differently than you would to that 97% vs. 3% figure. Further, if you looked at a list of those colleges (which would go on for 2-4 pages, depending on font size), you might not feel victorious at all, especially since such a list would include some of the biggest and best known schools in the country, including most of the Ivy League and the vast University of California system. But before panicking at a different packaging of the same data, a look at the original report the Times story was covering provides a more reasonable description of the situation, one that will be familiar to most Divest This readers. For, as that report analyzes (and the Times headline does actually confirm correctly), US campuses are not aflame. Anti-Israel activity is not constant, even on the 100+ campuses where it is regular. 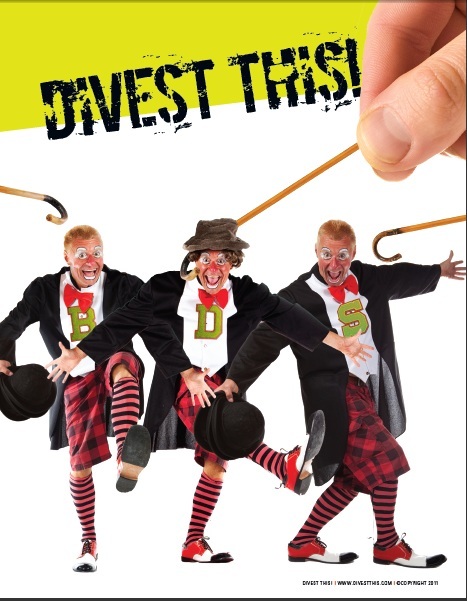 BDS, while not a complete wash out, is hardly on the march (and has yet to trigger even a dollar of actual divestment from the Jewish state). Most schools where loud protests, ongoing anti-Israel lectures and film series, or hectoring professors are a problem, these anti-Israel partisans have to compete with increasing numbers of pro-Israel students who long ago decided they had every right to use their own free speech rights to counter Israel’s defamers. Still, anti-Israel hate campaigns at 100+ schools is a problem (especially if who is in that 100 changes each year, meaning we could be seeing seeds planted at 200, 300 or more schools over the course of the decade). But figuring out what to do at a hundred high-profile campuses is a much smaller (or at least a different) challenge than having to deal with thousands of flaming campuses, which is why a dose of reality can actually help our side make more effective decisions on where to put time and resources. So rather than panic that the campuses are turning against us, or take the equally fallacious path of deciding the problem is solved (since it “only” impacts 3% of schools), we should focus our attention on ensuring that students on each of the campuses where anti-Israel activity predominates have the knowledge, the tools and the arguments they need to ensure the BDSers and other Israel haters continue to be defeated and ignored. We must also realize that since the war against Israel is not something we started, that we have no control over when it ends. And so we need to brace for campus (and other) fights that will go on year after year after year, showing the same level of persistence and resolve as Israel’s foes, but bolstered by better tactics and the fact that we are in the right.